Whether you knit or crochet, a yarn-crafting project results in a beautiful piece and a bunch of yarn ends. Any time you change colors or start a new ball of yarn, you’re left with ugly yarn tails. And when you’ve finished a project, you need to weave them in! Weaving in your ends gives your finished project a really sharp, fantastic look, and it helps keep your project from unraveling – and we certainly wouldn’t want that to happen! Luckily, weaving in your yarn ends is very simple (if sometimes time-consuming). 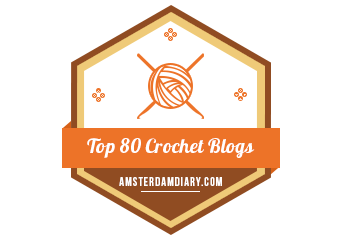 There are several different methods (my personal favorite will be next week’s New Stitch Wednesday post! ), but here is one of the easiest (and most common) ways to weave in your ends. 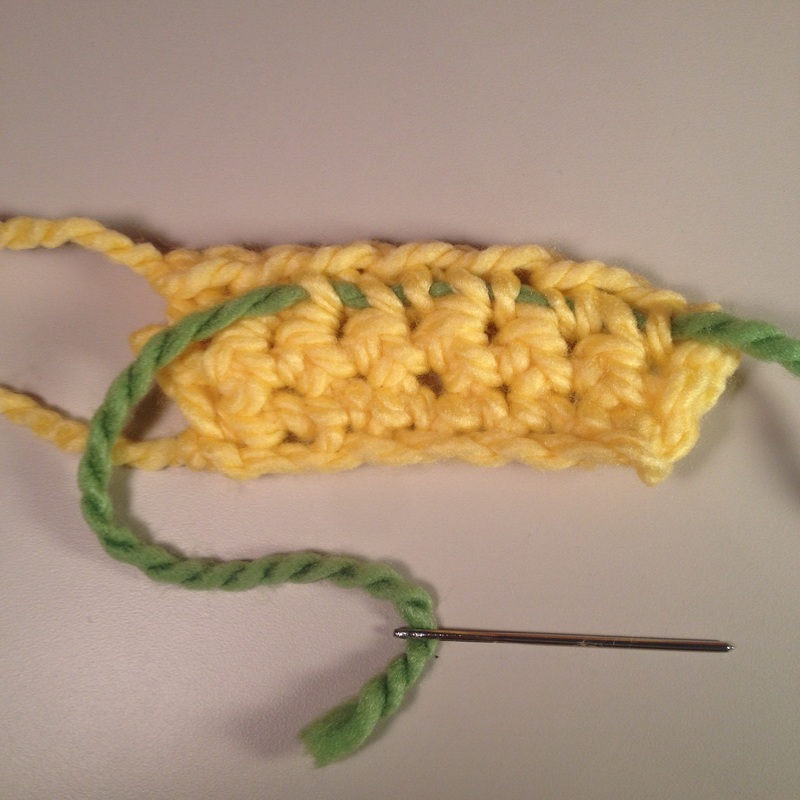 For the sake of this tutorial, I’ve used a contrasting strand of green yarn to show where the tail end of the yarn goes. Teed the tail end of the yarn through the eye of the tapestry needle. 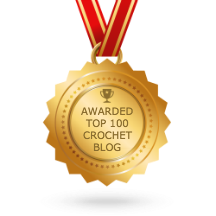 Weave your needle through some stitches. It’s a good idea to change directions periodically as you go; this helps lock in your yarn and makes it more difficult for your project to unravel. If your project has a right side and a wrong side (a sweater, for instance), weave your ends in the wrong side of the work. This makes them less visible (obviously a plus). If your project doesn’t have a right side and a wrong side (such as a scarf or a washcloth), try to weave the ends in a place that is not going to be noticed. When you’re satisfied with your woven yarn tails, snip the end. To avoid cutting so close to your beautiful project, you can pull the yarn tail firmly through the last few stitches, snip it a little further away from the work, and then let the cut end spring back into place, hiding in your lovely stitches. You don’t want to accidentally cut your work! Pretty easy, right? I absolutely hate weaving in ends for hats, and I was lucky enough to come across a super simple solution. 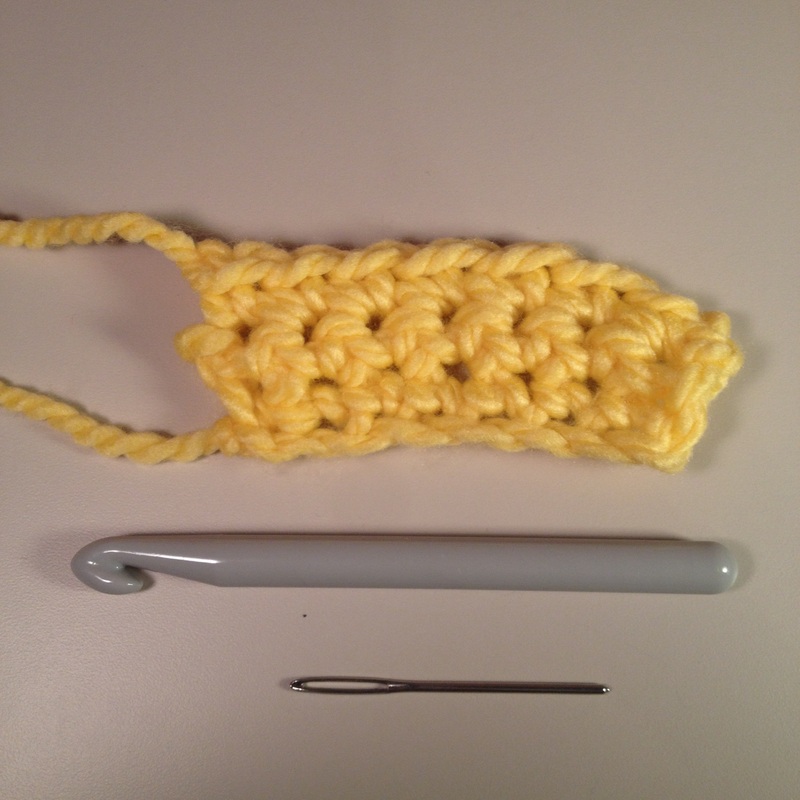 Find out that cool trick in next week’s New Stitch Wednesday post!